At long last, we reach the end of our 12 Days of Christmas series. All that's left now is to wait for jolly ol' St. Nick now. For our final entry, we look at a bouquet that sums up the warm feelings that the holidays bring. On the twelfth day of Christmas, my true love gave to me.. a bouquet that's sure to spread the love! Our Christmas Love bouquet is gorgeous, and it's a popular arrangement during this time of year. 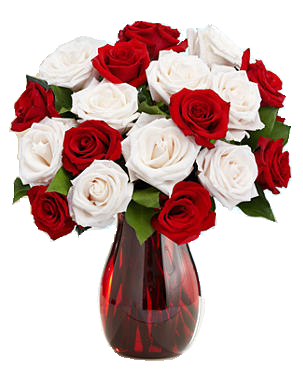 It includes 10 lovely red roses, contrasting beautifully with stunning white roses and accented with assorted greens. With the colours of the season at a great price, it's no wonder that this bouquet is a perennial favourite around Christmas. It makes for a perfect bouquet to send to a loved one, or add a little festive feeling to your own space. Check out the Christmas Love product page here and send some affection this season with Bloomex. And don't forget to check out our past entries on this series, listed below. Thanks for following along, and on behalf of Bloomex, Merry Christmas to all!